Witness transformations, wild waltzes, soaring birds and a relationship between Belle and the Beast that is at first terrifying, but ultimately serene and beautiful. I recently watched a BBC interview with Peter Martins, director of New York City Ballet, in which it was suggested to him that ballet was elitist and dead. The charges were elegantly rebutted, but it was clear that this is now the default modern view. Ballet is “elitist” because it is about people excelling at extremely difficult things. It is “dead”, because its best stuff was produced years ago (not like novels and paintings, then). I thought of this as I watched Beauty and the Beast, with an audience diverse enough to satisfy any BBC criteria, and united in delight at the shining complexities on stage. True, when ballet becomes a tired technical procession of Swan Lakes then it is a played-out form. 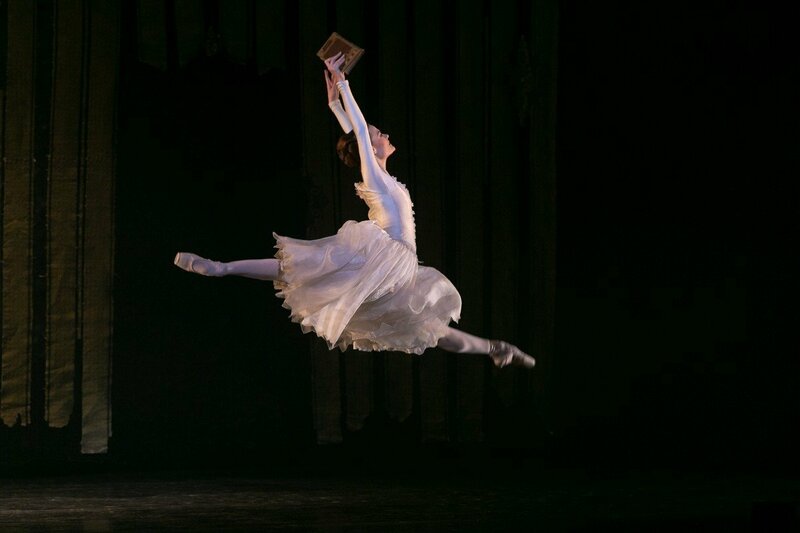 But when – as with a company like Birmingham Royal Ballet – it is constantly reinfused with meaning and vitality, it can move and astound to a degree worthy of that other dead elitist, William Shakespeare. 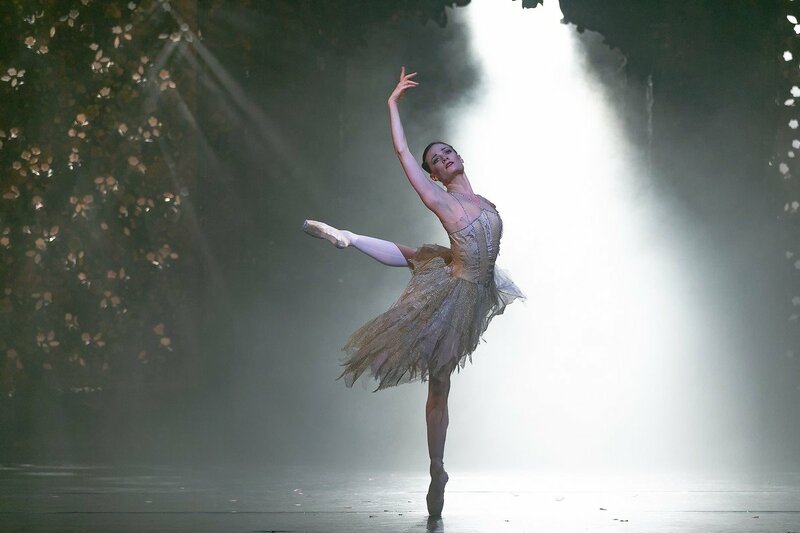 David Bintley, who will soon hand over the reins of the company to Carlos Acosta, has choreographed ten full-length ballets since he became Birmingham Royal Ballet’s Director in 1995. Beauty and the Beast was created for the company in 2003. 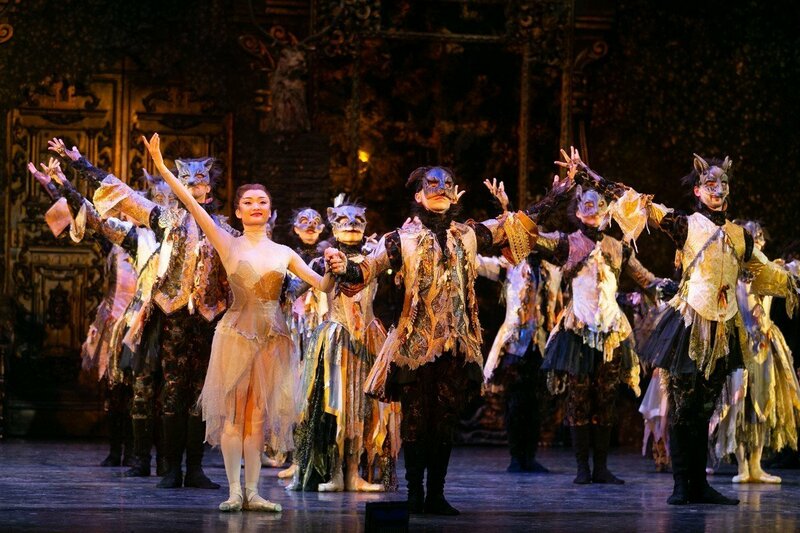 David Bintley’s ballet version, which first appeared in 2003, is a thing of monumental glory. Like his later Cinderella this is not afraid of the dark. There are no guarantees that it will end happily. From the opening prologue, which explains how the Beast came into being, the stage is bathed in dark coppery tones, vein-blood red and black. Philip Prowse’s sets tower over the performers, from burnished mirrors to golden doors, from forbidding forest to castle walls. Mark Jonathan’s lighting contributed impressively to the shadowy gothic feel, with considerable use of pinpointed candlelight effects. Many people feel that current trends are for stage lighting that is just too dark but this is one of those rare occasions when it is called for and Jonathan maintained a good balance between lighting the things that had to be seen and keeping his overall gothic-inspired theme at a consistent level. The score was especially composed for the piece, back in 2003, by Canadian composer Glenn Buhr. 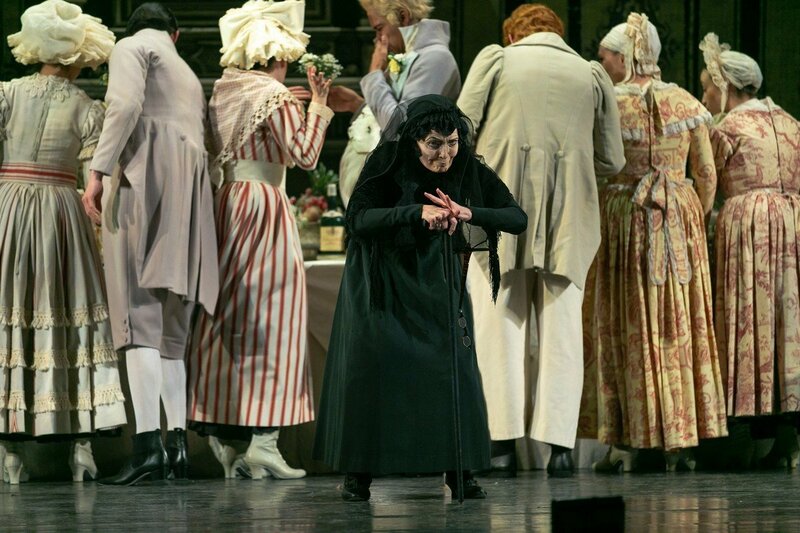 One can tell that there must have been a very close interaction between choreographer and composer, since the music is always cleverly descriptive of the action, in a linear – almost literal – sense. I could close my eyes and more or less know what action the music is describing on the stage, at any point during the piece; but, in the interval, I couldn’t close my eyes and remember the music from the glorious pas de deux I had just seen, and – for me, at least – that is the downside to the score. There are no memorable, or hummable melodies: it washes over you and then it’s gone. The production is on tour until 30 March 2019.
well worth a trip to Birmingham (it only takes an hour from London).